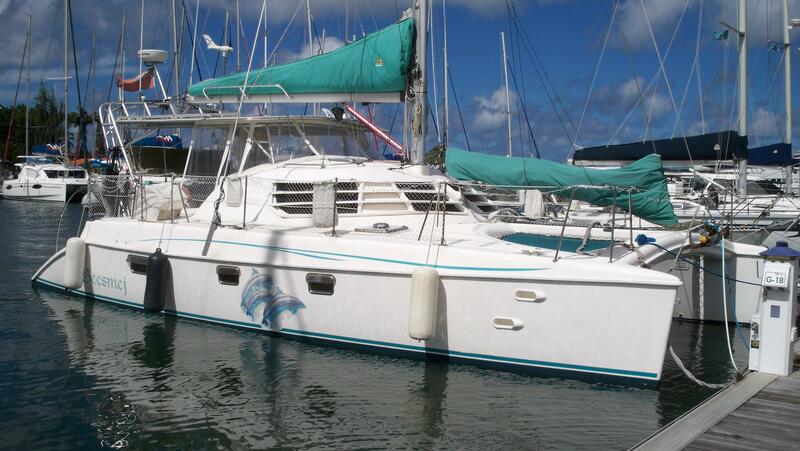 The Manta 42 was not designed to jam as many people as possible onboard for a one week charter. 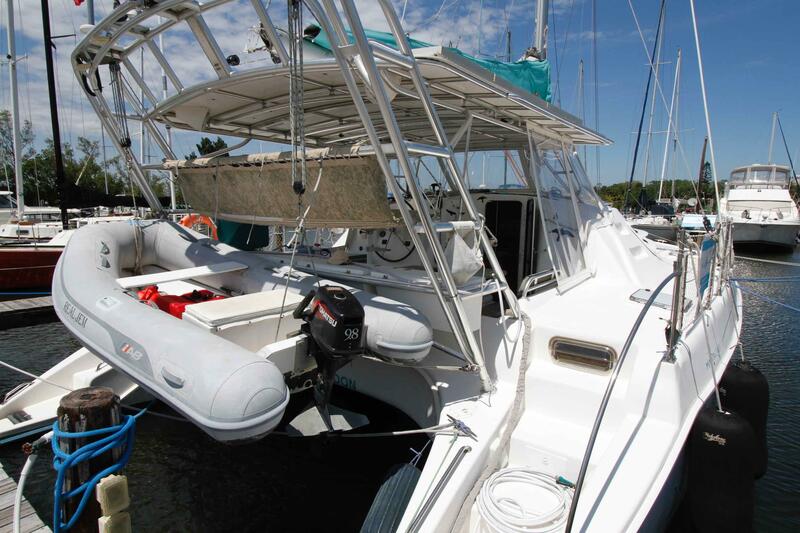 These high quality and American built cats were designed for long-term cruising and living aboard. 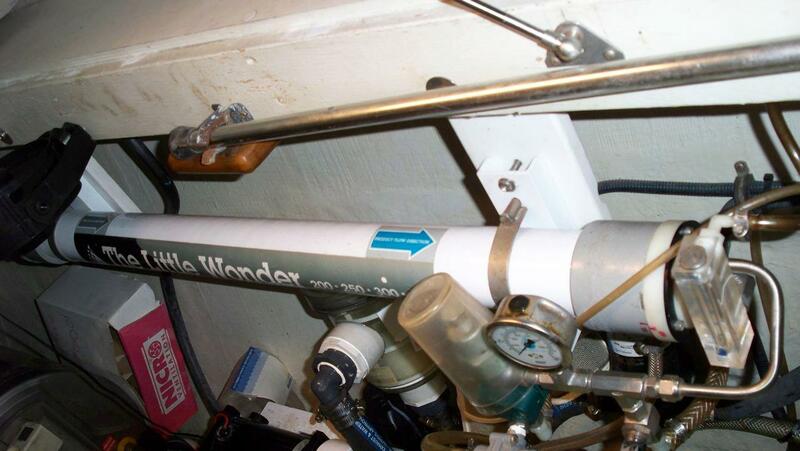 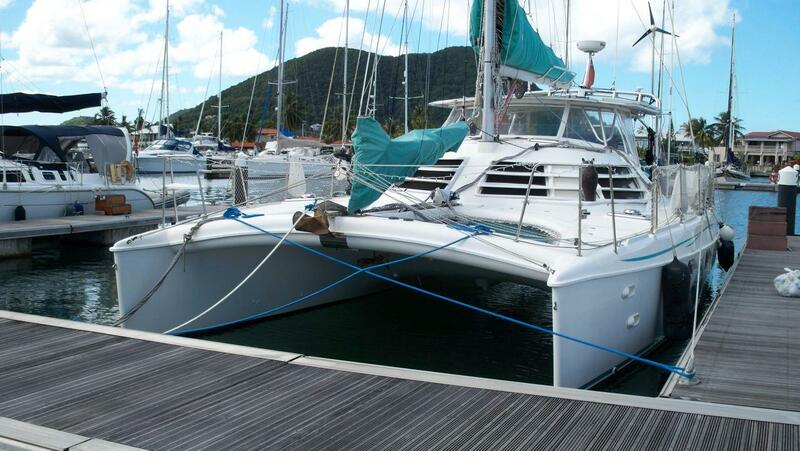 Just ask any owner of a Manta catamaran. 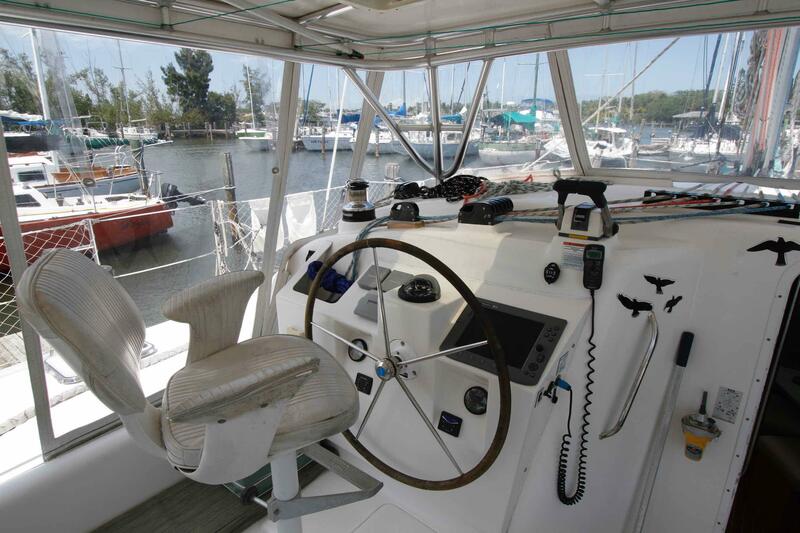 They are some of the best salespeople and stay loyal to these modern day cruising cats. 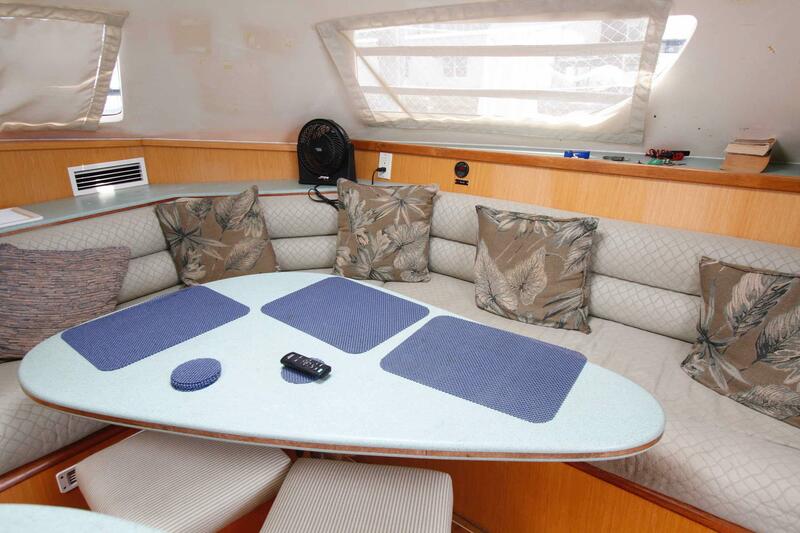 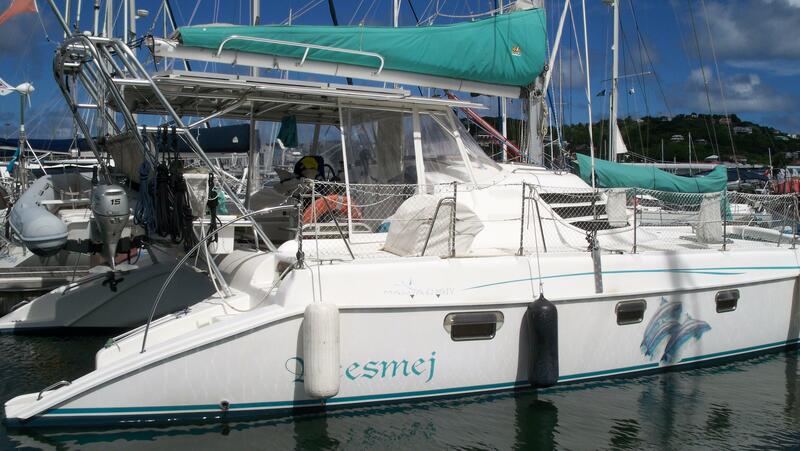 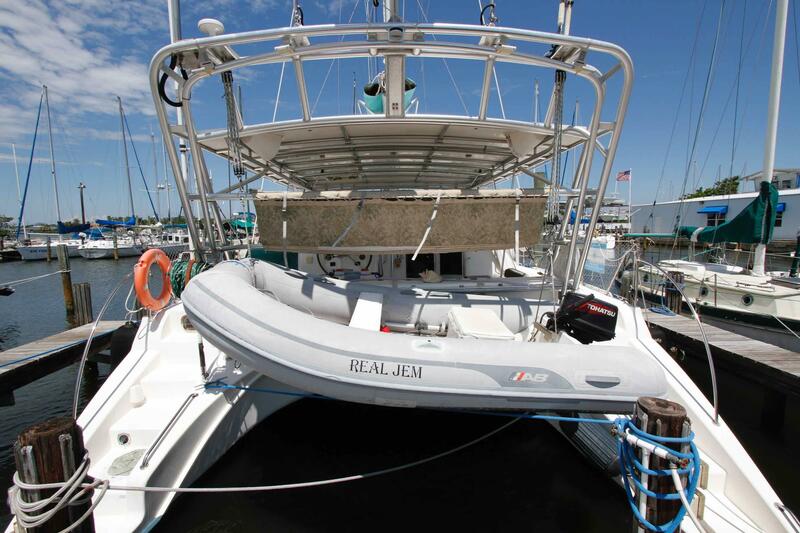 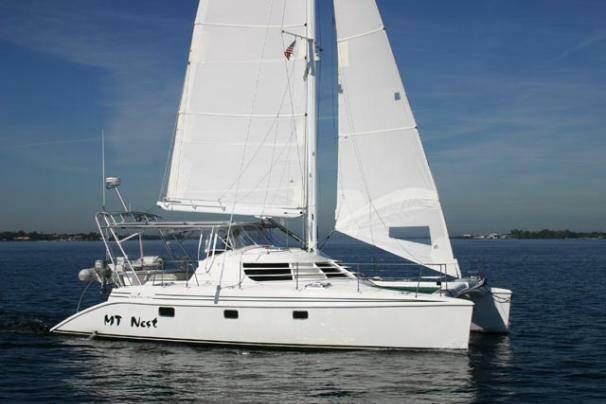 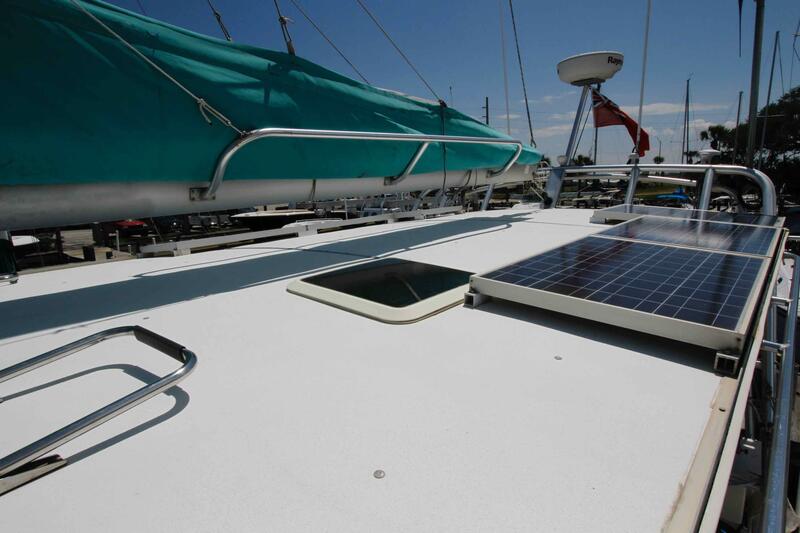 “Beesmej” is the ultimate blue water cruising catamaran, well equipped and sleeps five comfortably in three state rooms. 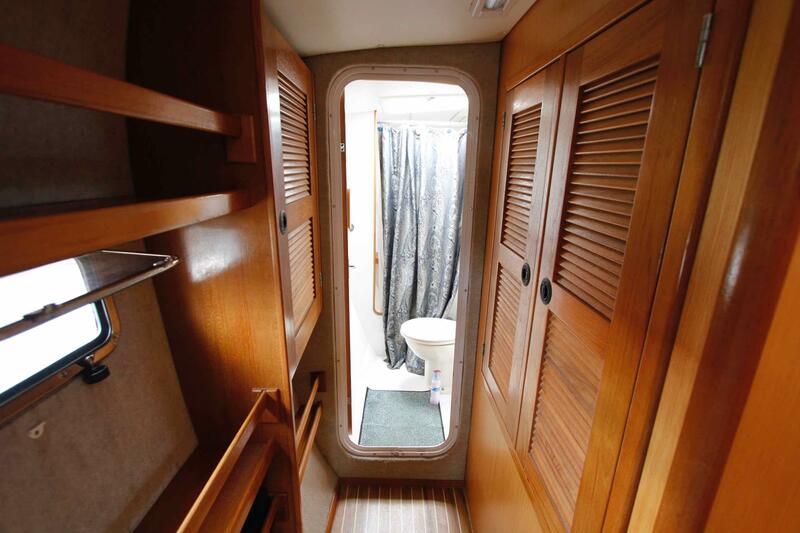 The port hull features the Owner’s Suite with head and separate shower cubicle and companionway pantry storage and bookcases. 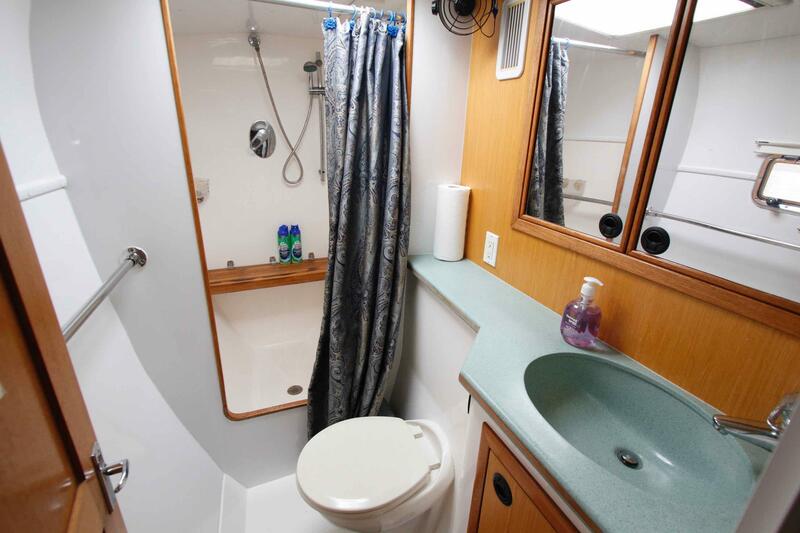 The starboard hull features an aft VIP stateroom and forward guest stateroom. 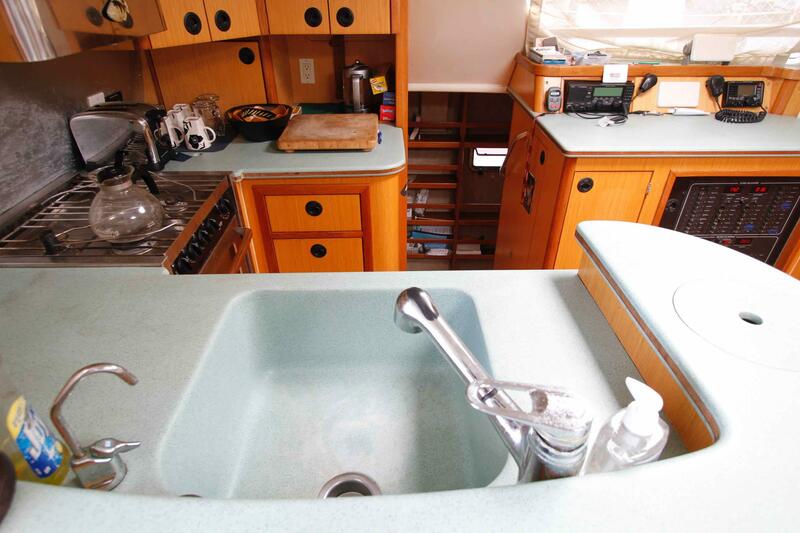 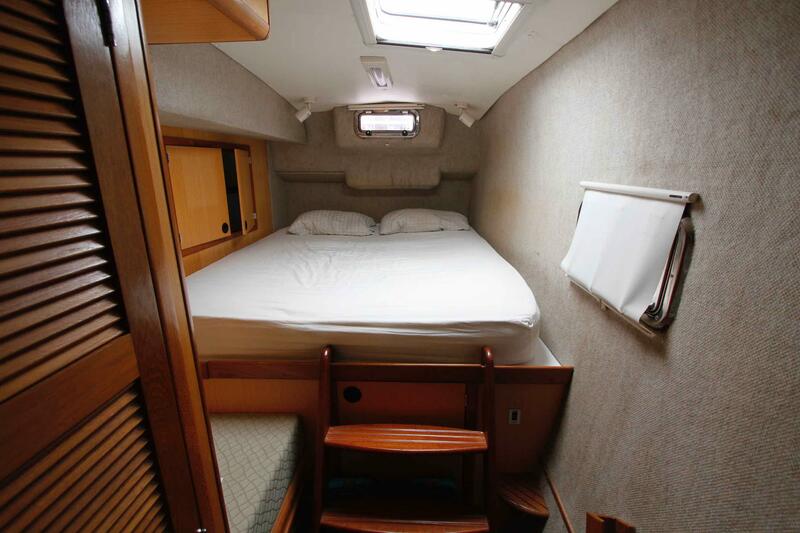 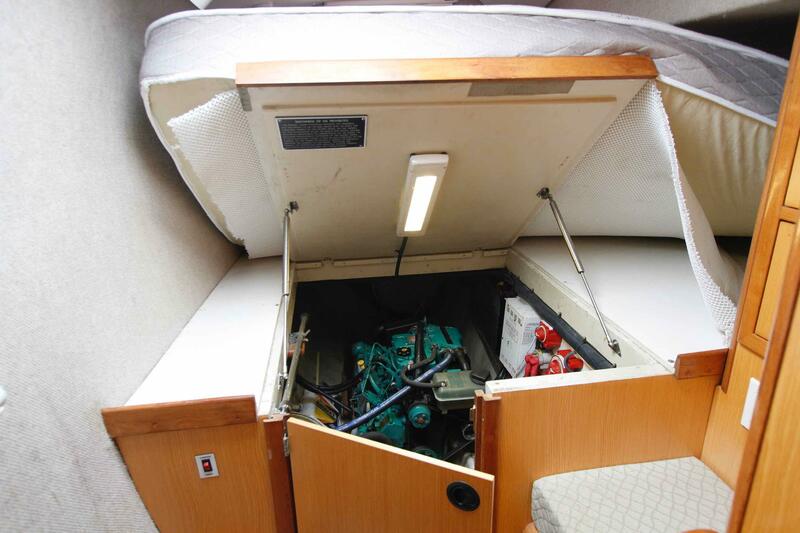 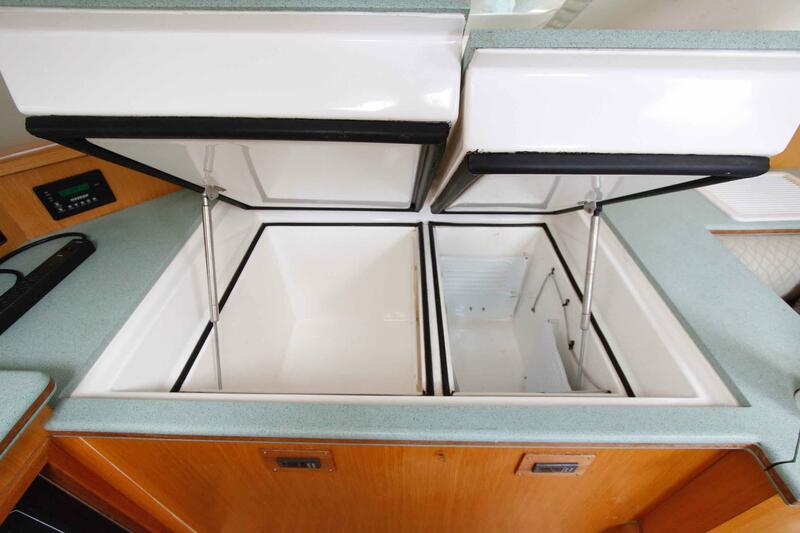 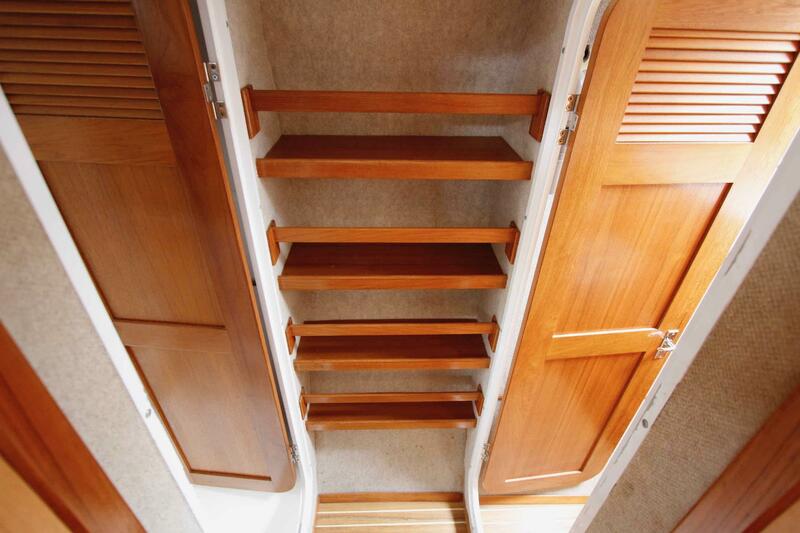 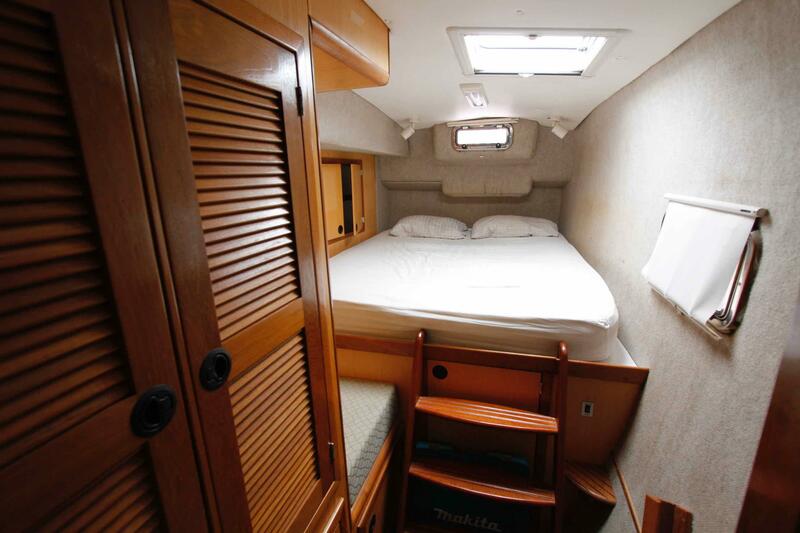 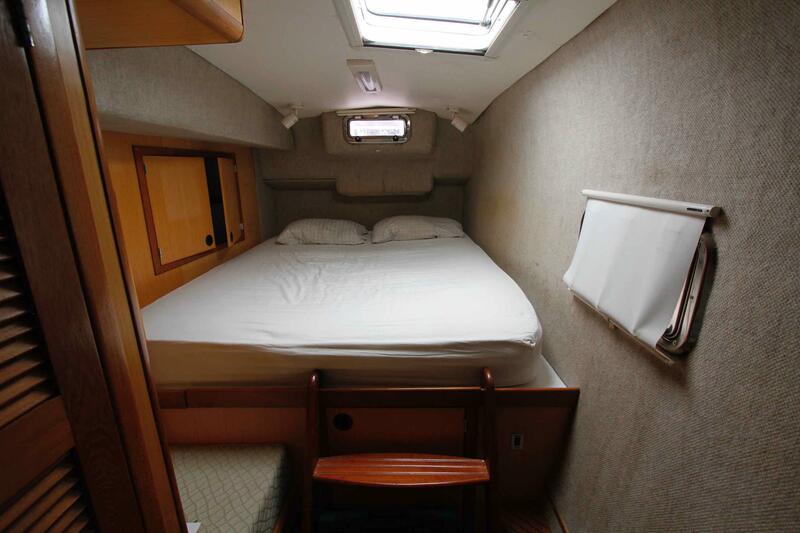 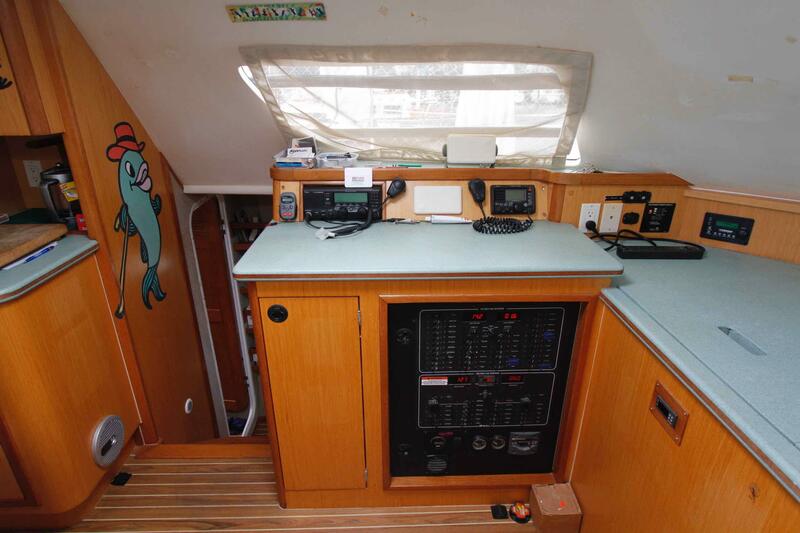 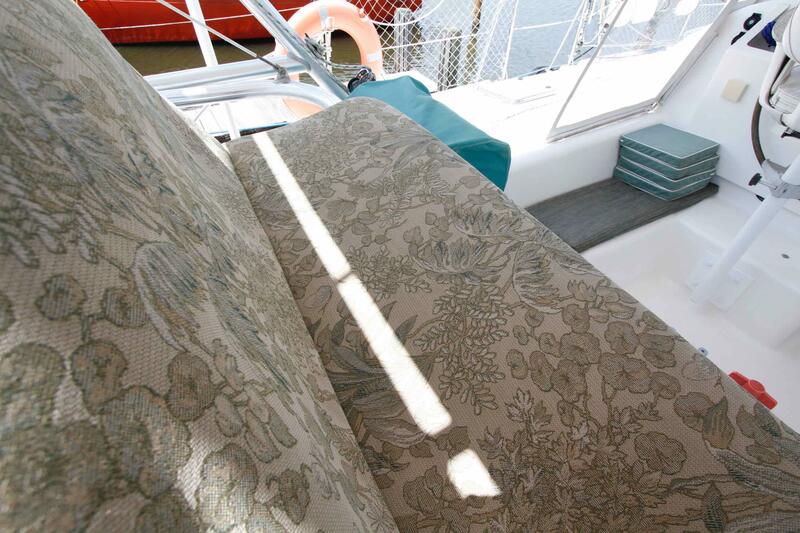 A Guest head is shared and a built-in bookcase lines the companionway. 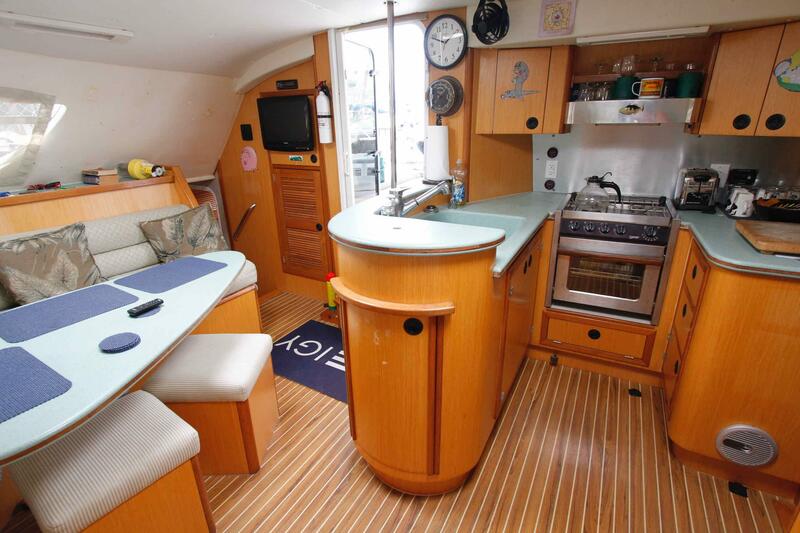 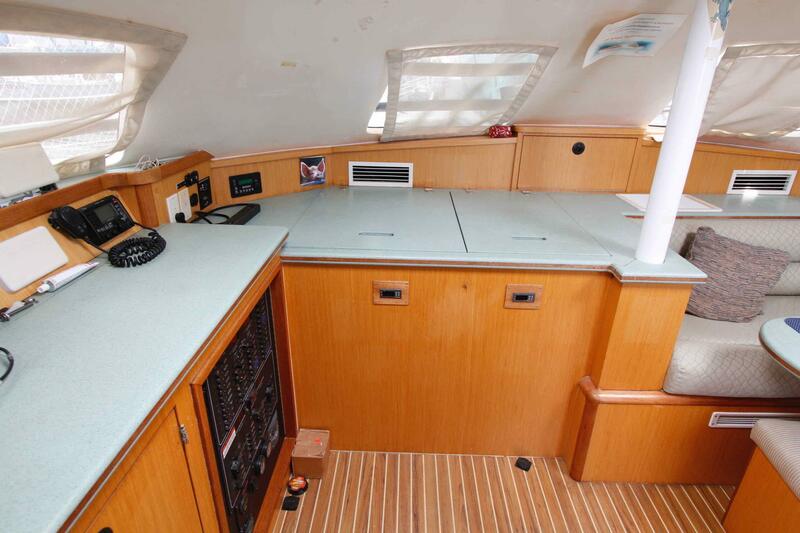 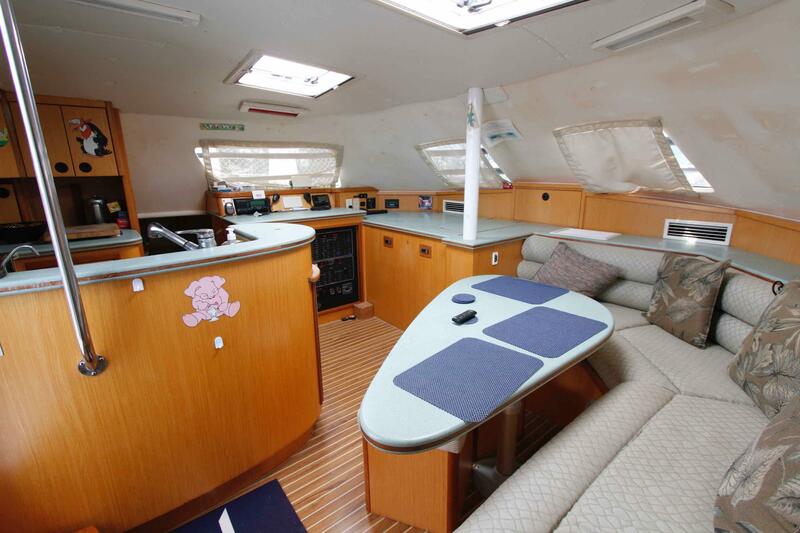 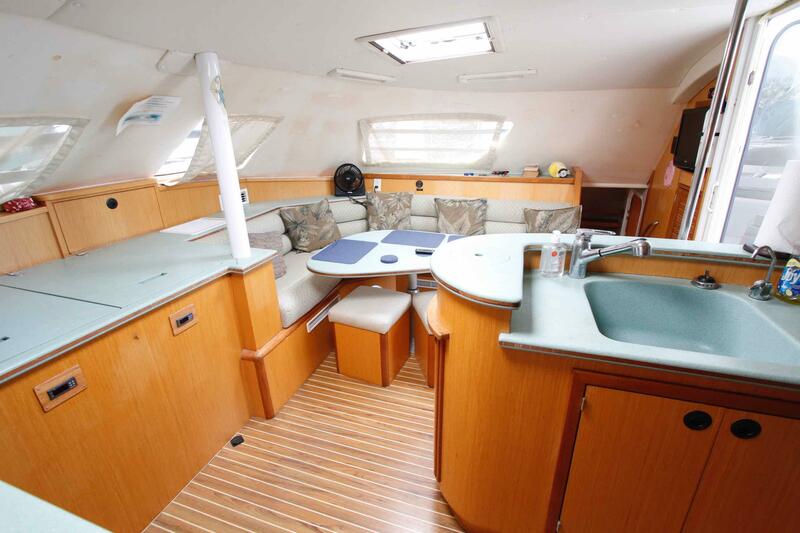 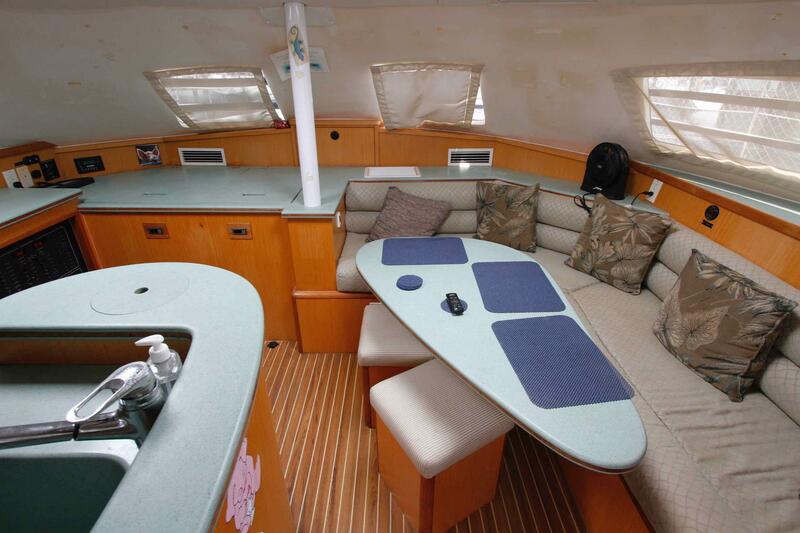 The vessel boasts a gourmet galley and an inviting and relaxing salon for lounging and entertaining. 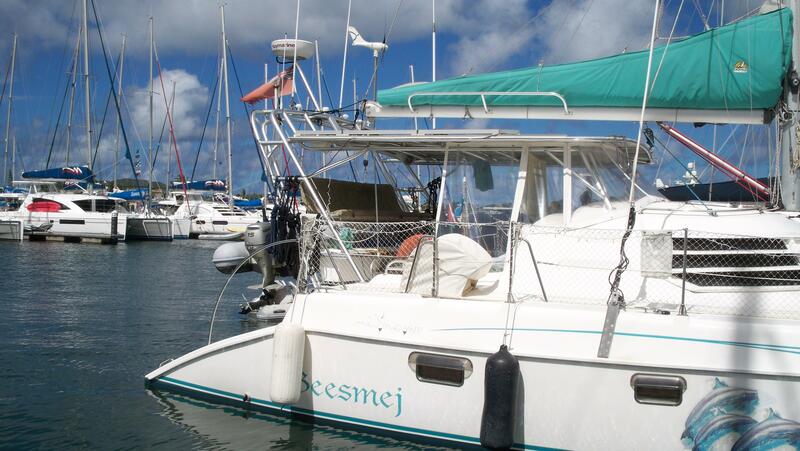 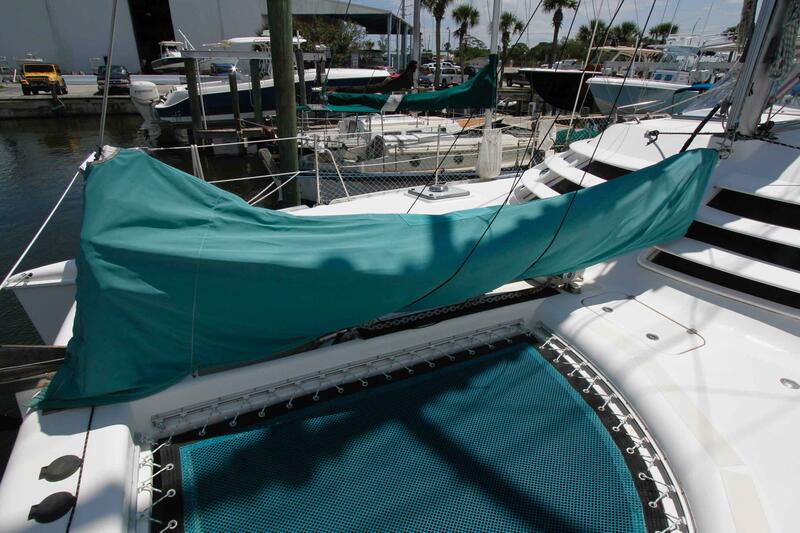 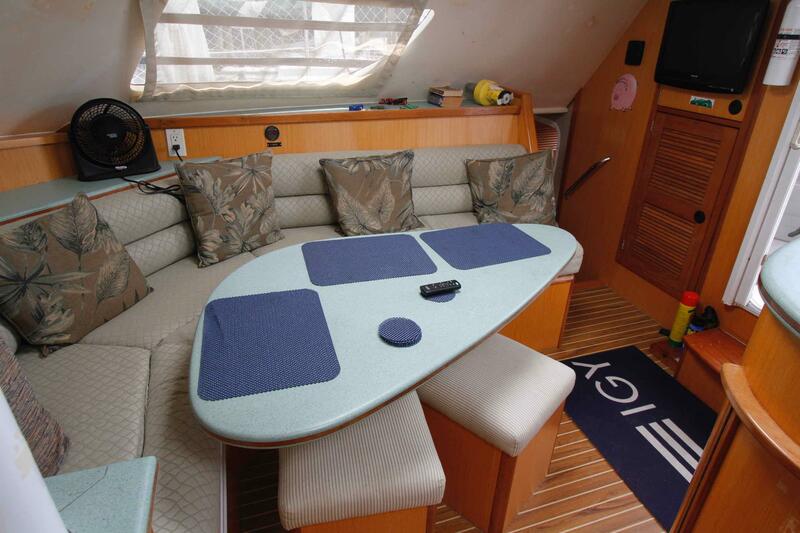 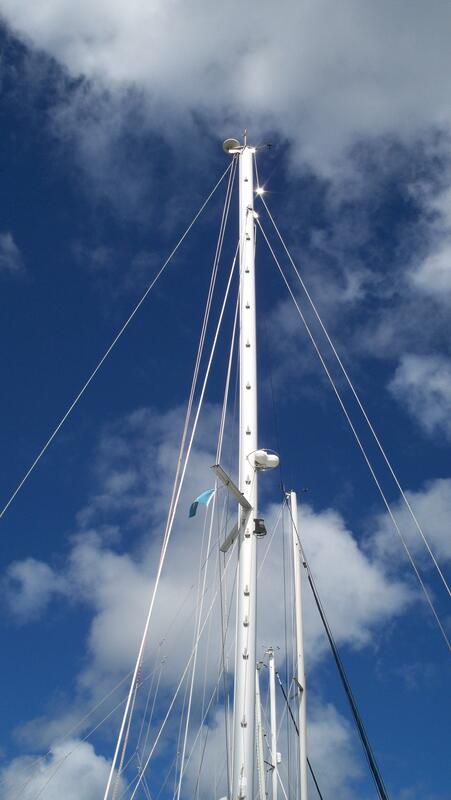 “Beesmej” is the ultimate blue water cruising catamaran which sleeps five comfortably in three state rooms. 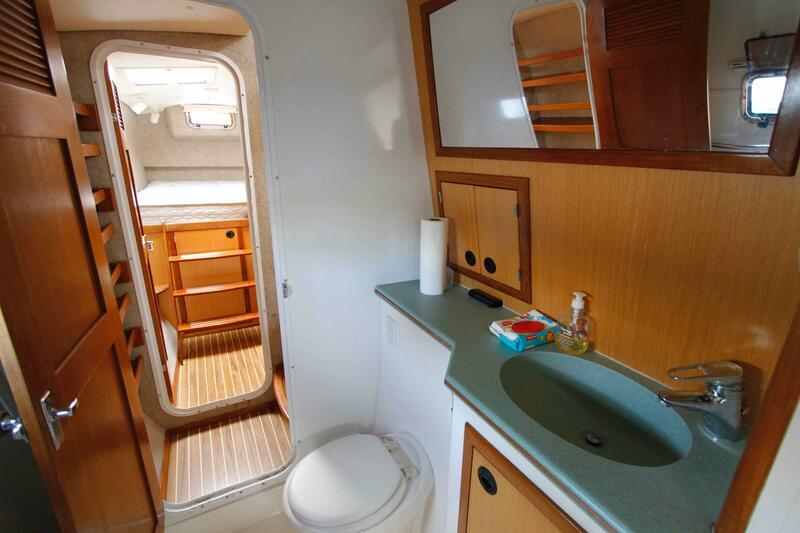 The port hull features the Owner’s suite; head and separate shower cubicle and companionway pantry storage and bookcases. 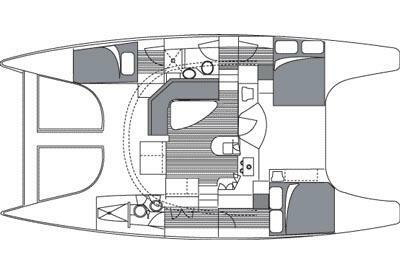 The starboard hull features an aft VIP stateroom and forward guest stateroom. 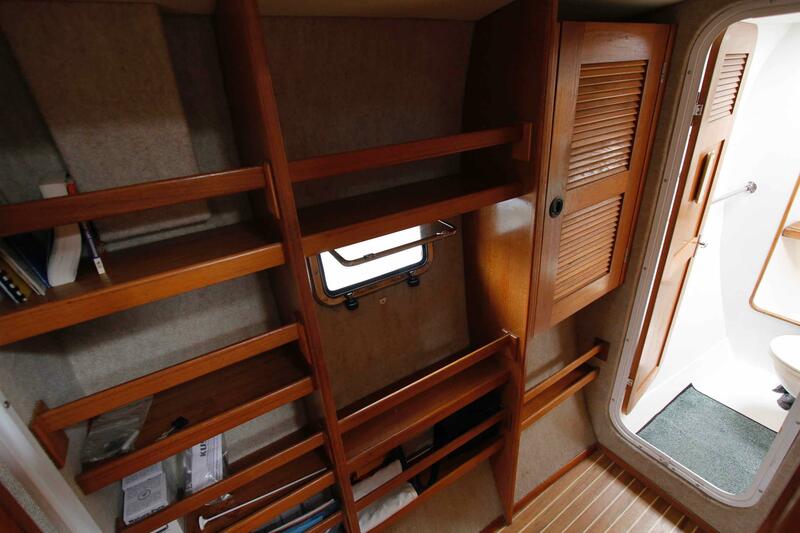 A Guest head is shared and a built-in bookcase lines the companionway. 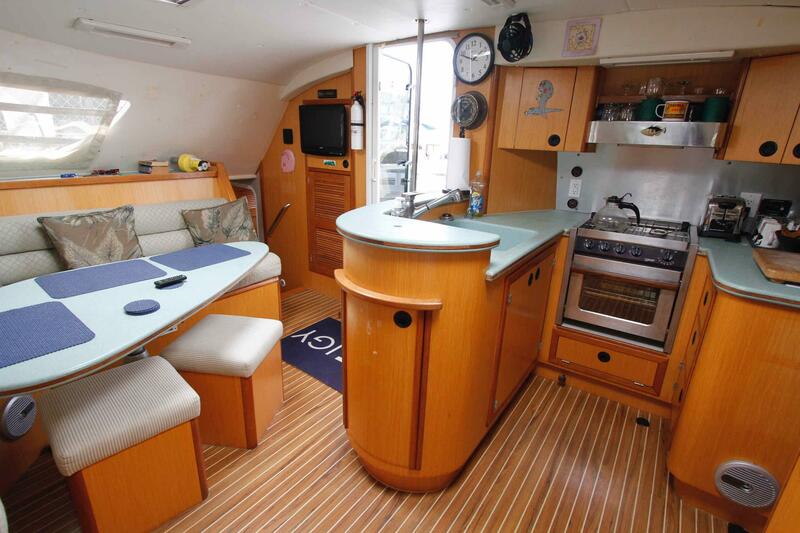 The vessel boasts a gourmet galley and an inviting and relaxing Salon for lounging and entertaining. 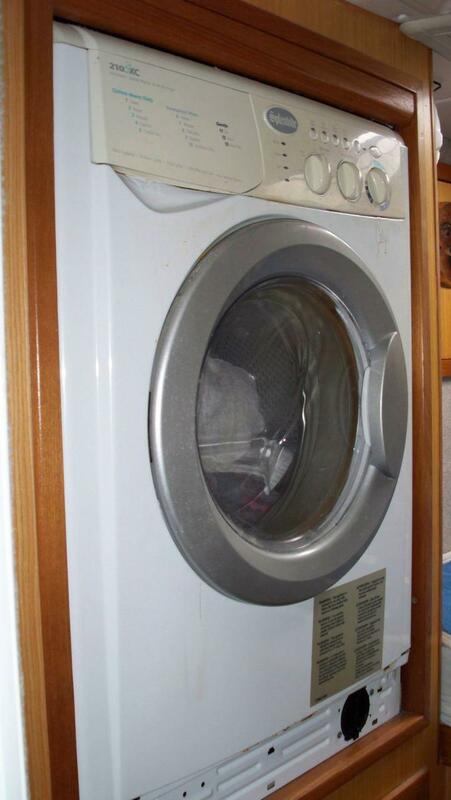 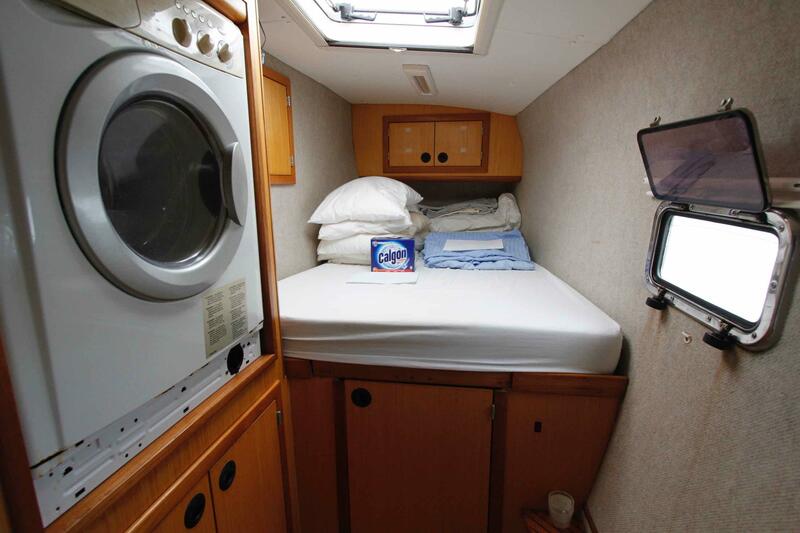 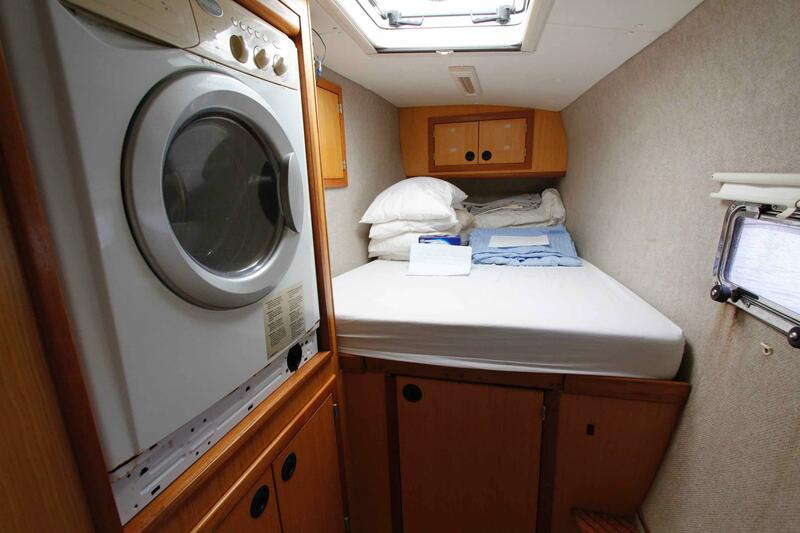 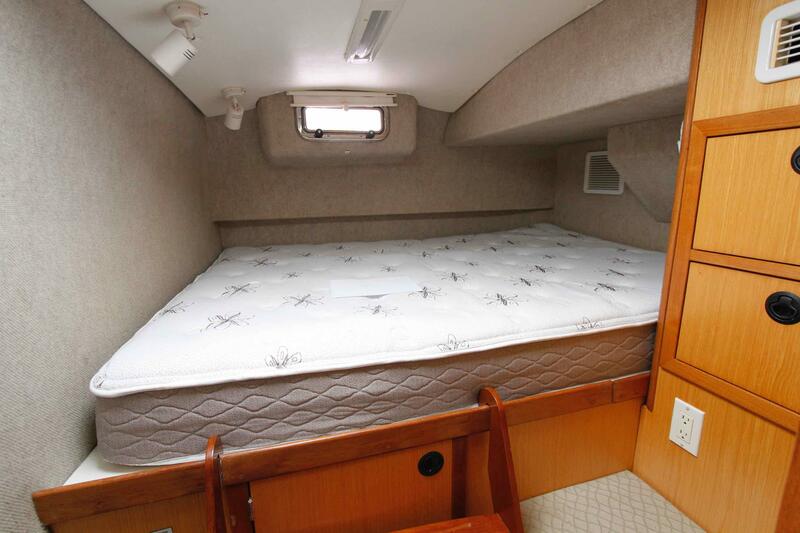 Two Cruisaire (16k and 10k btu) reverse cycle AC/Heat units provide comfort throughout. 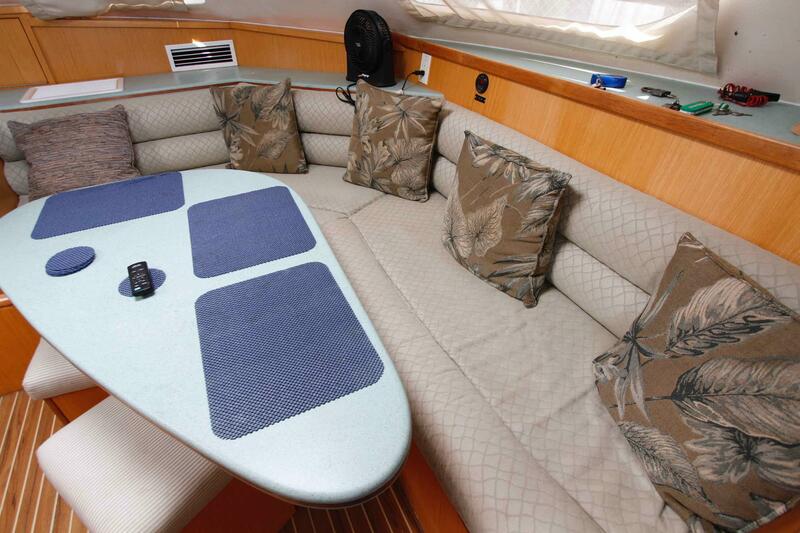 Interior finish is a blend of wood veneer, vinyl headliners, accented with Swanstone composite countertops, wood moldings, louvered wood doors and high durability synthetic teak and holly soles. 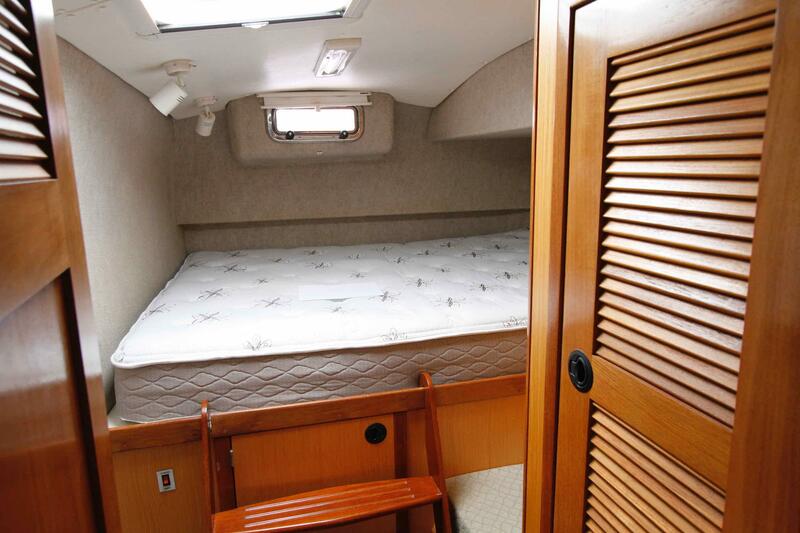 • Settee, large cedar-lined hanging locker, drawer space, and extra storage locker. 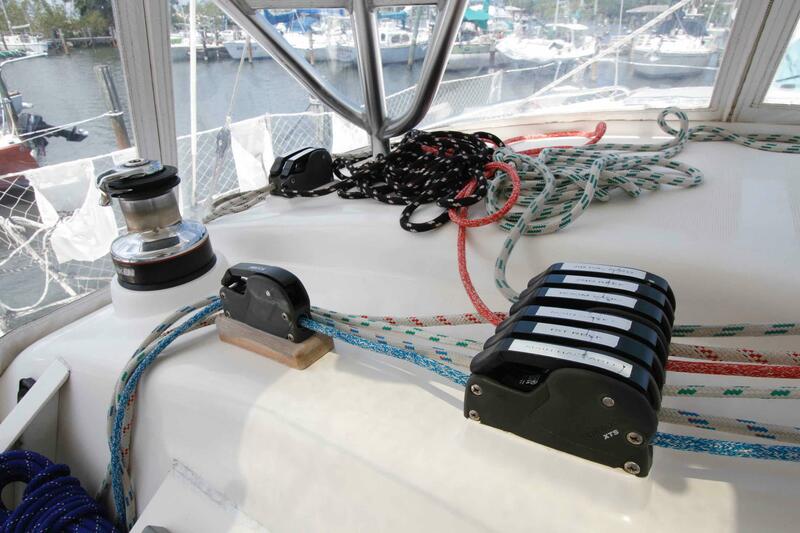 All running rigging color coded . 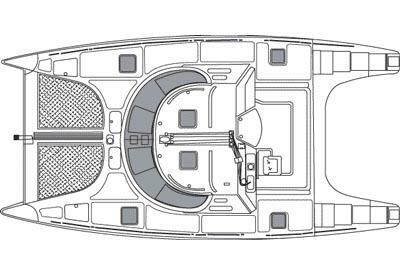 • Padded and Upholstered (not just mesh) Sling Seat above storage compartments in Cockpit. 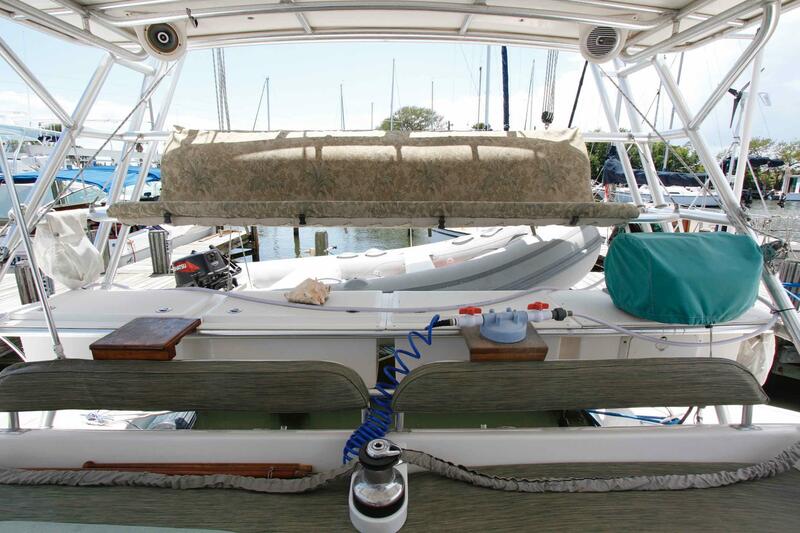 Nicest sling seat I've seen. 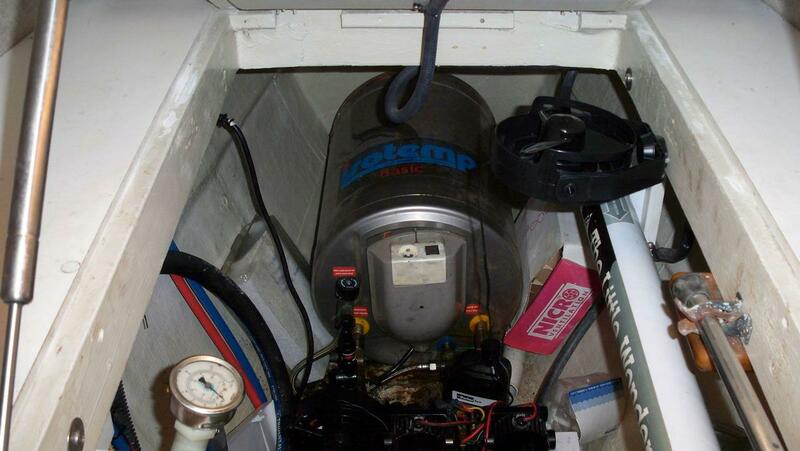 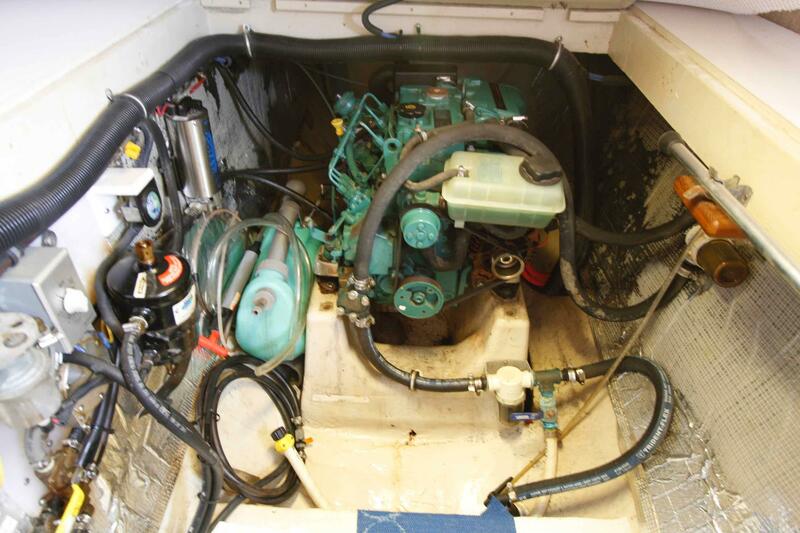 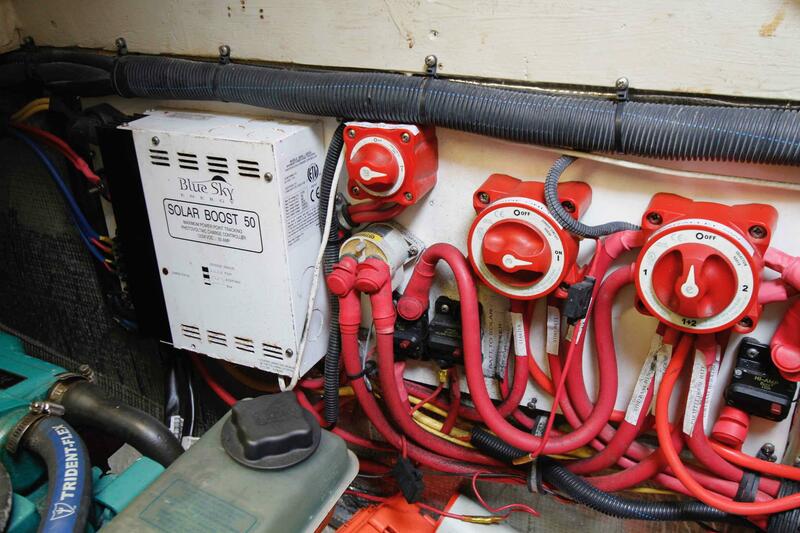 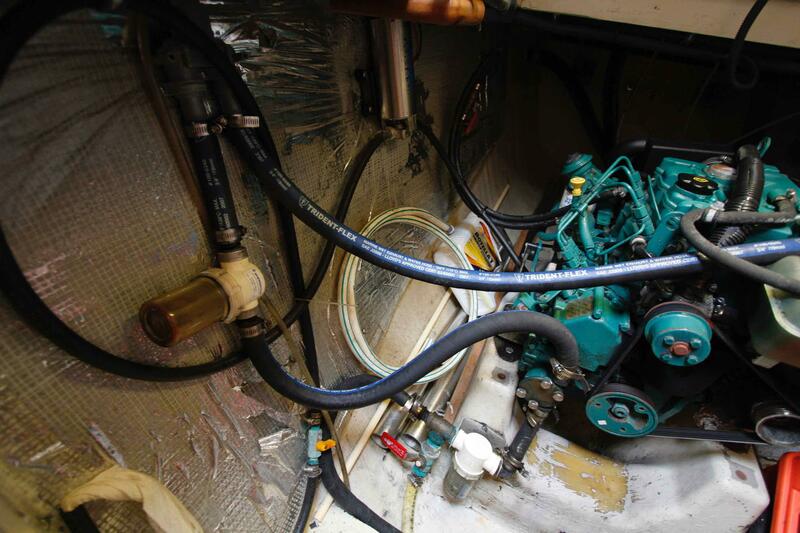 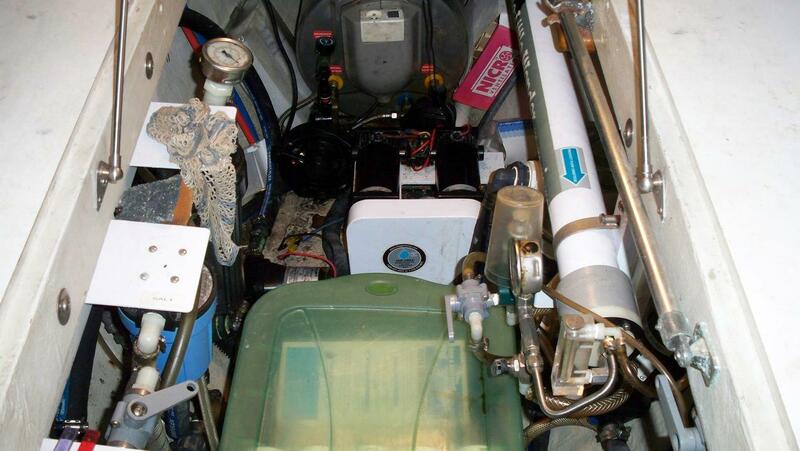 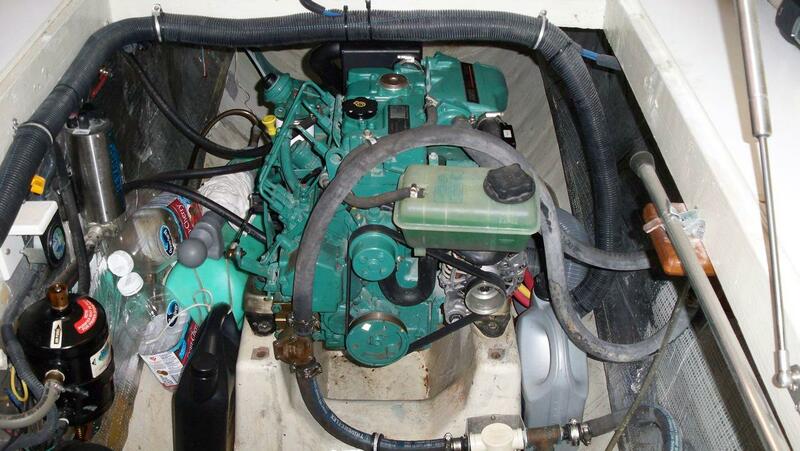 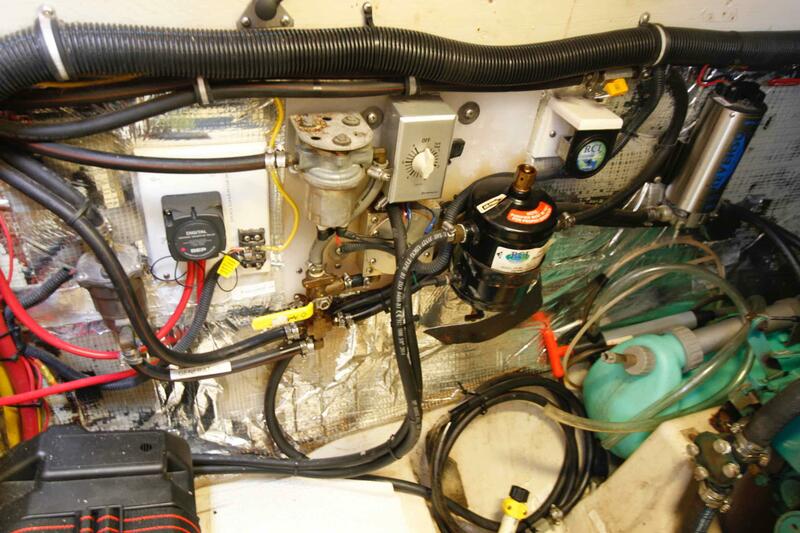 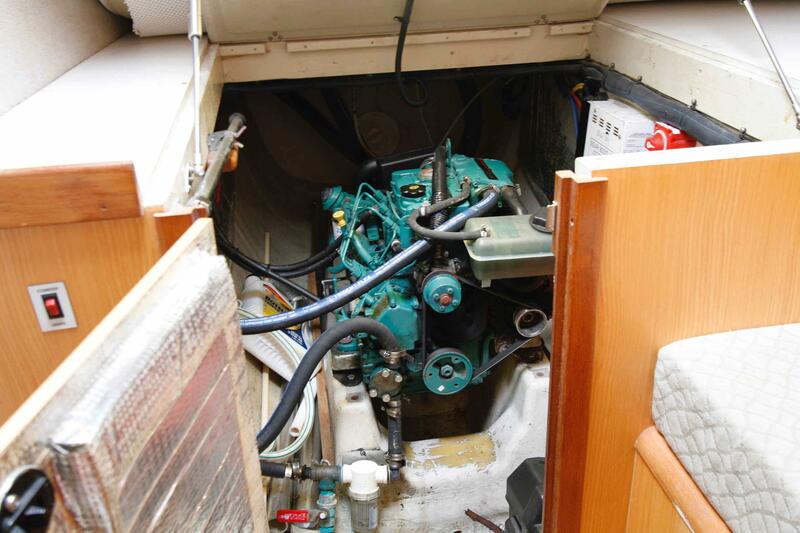 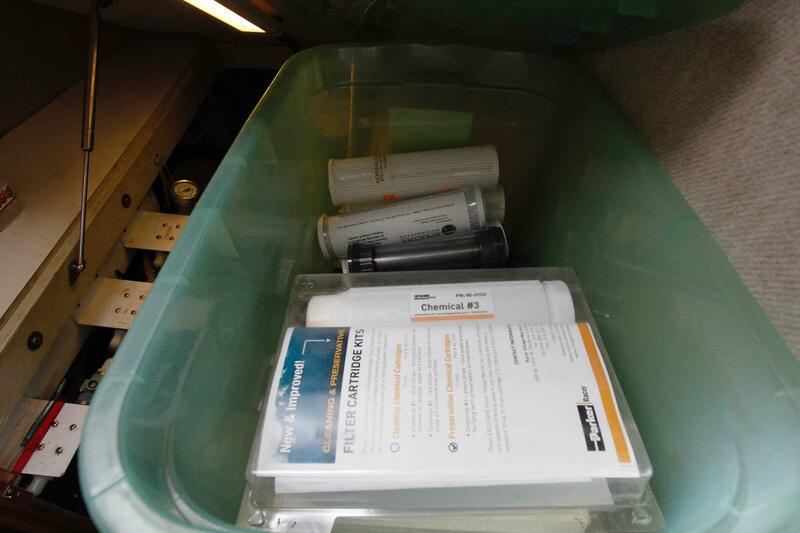 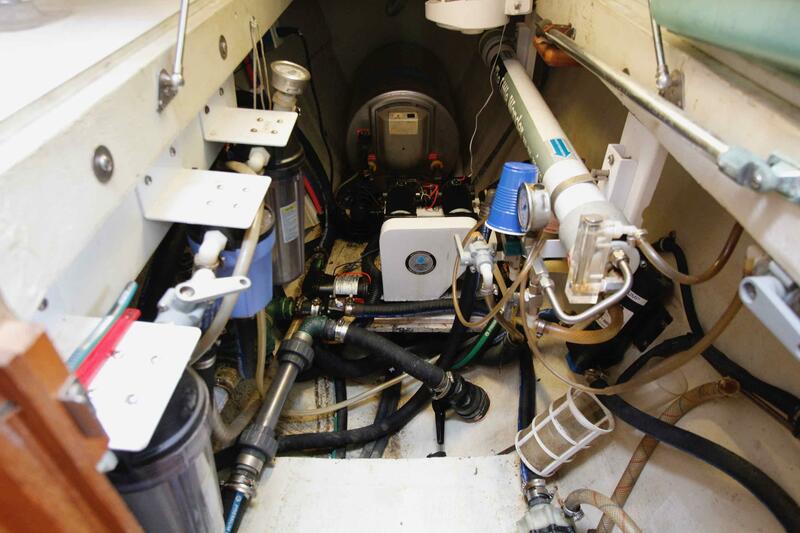 Both engines and generator have been serviced annually since new. 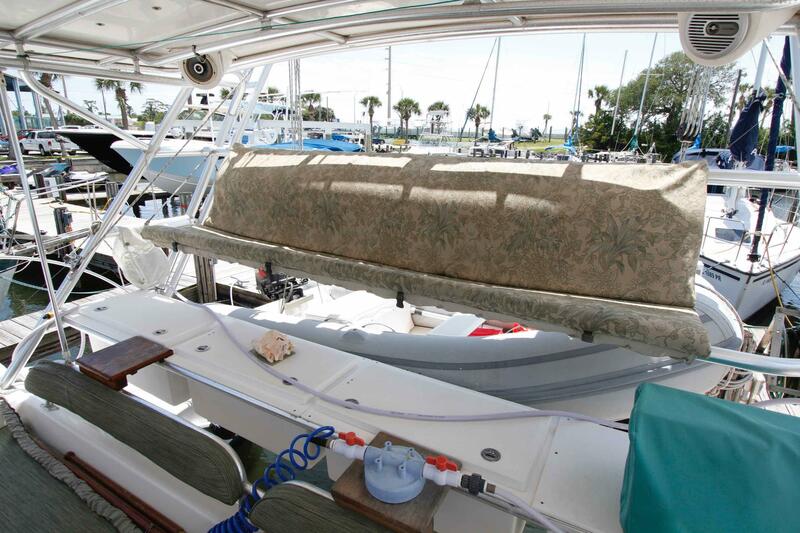 Both hulls underwent sandblasting, July 2014. 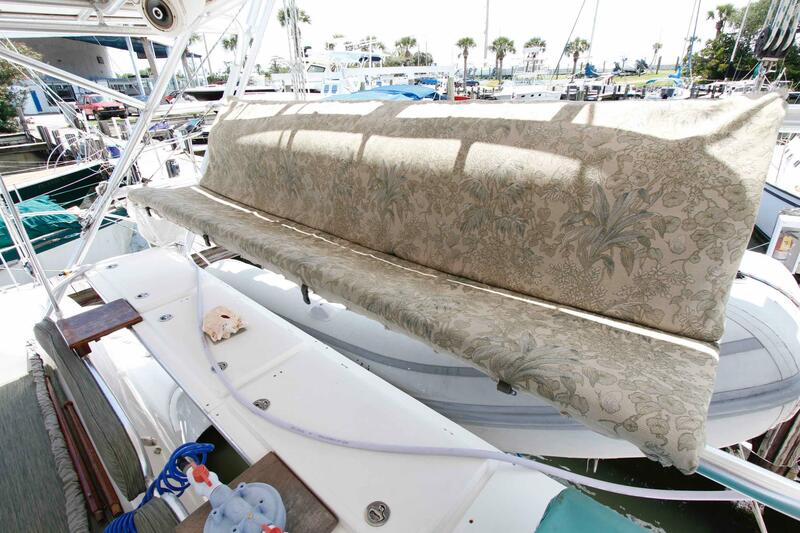 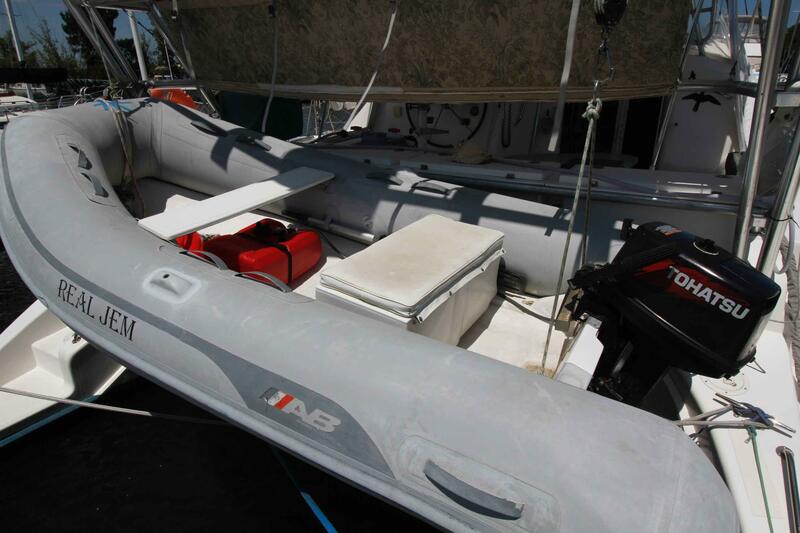 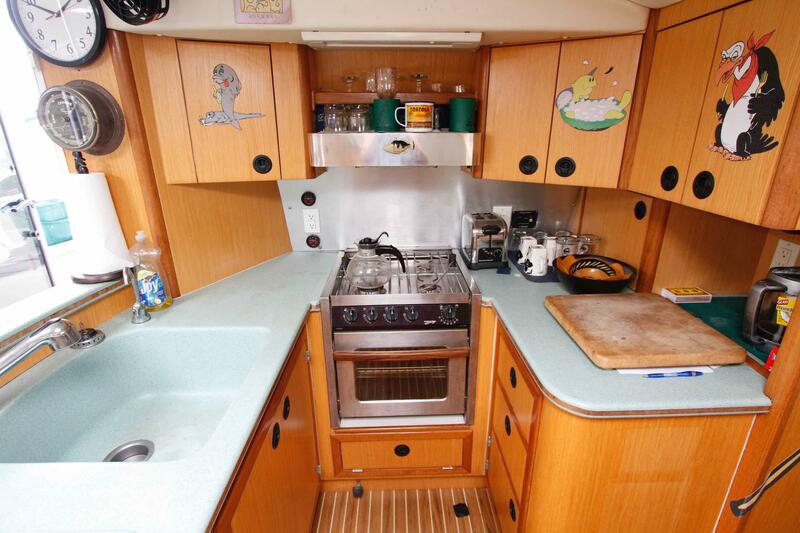 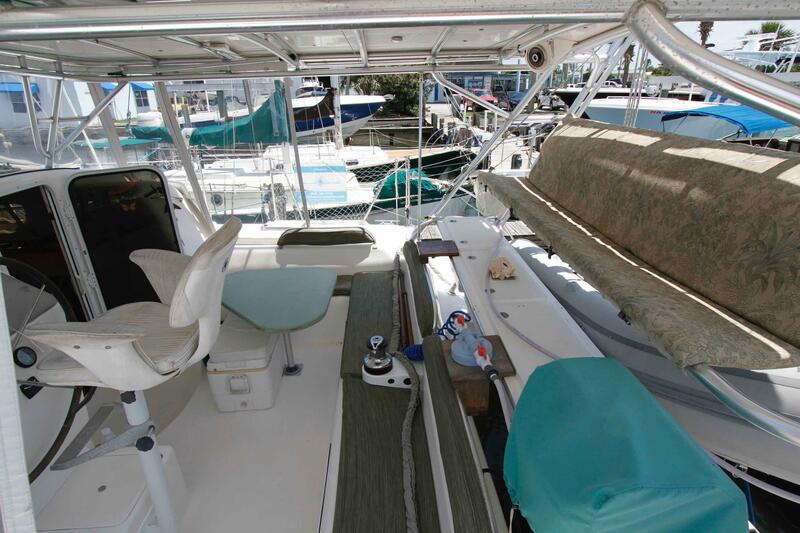 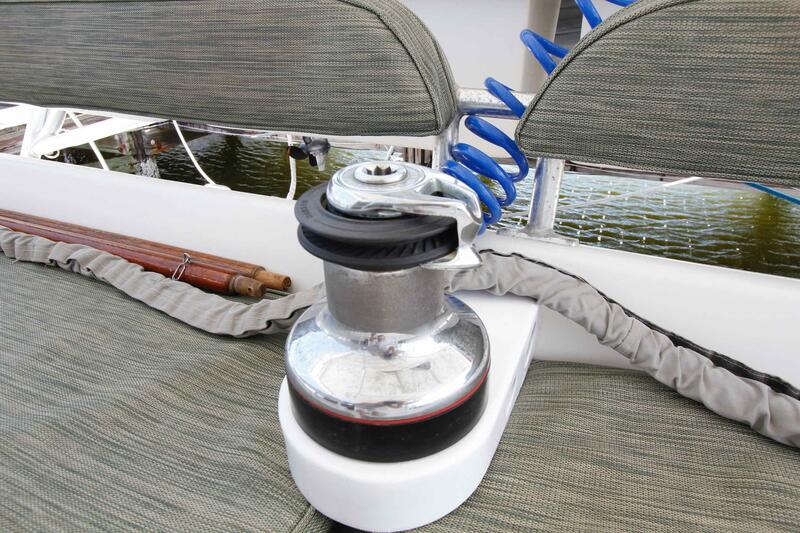 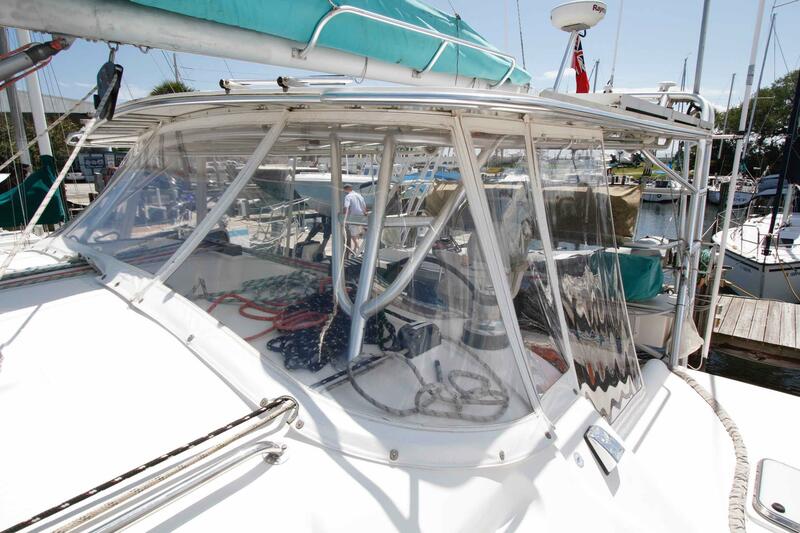 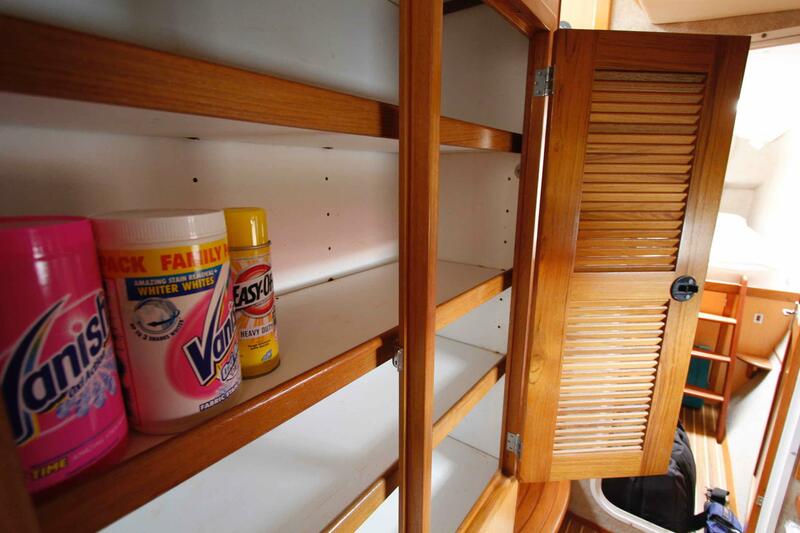 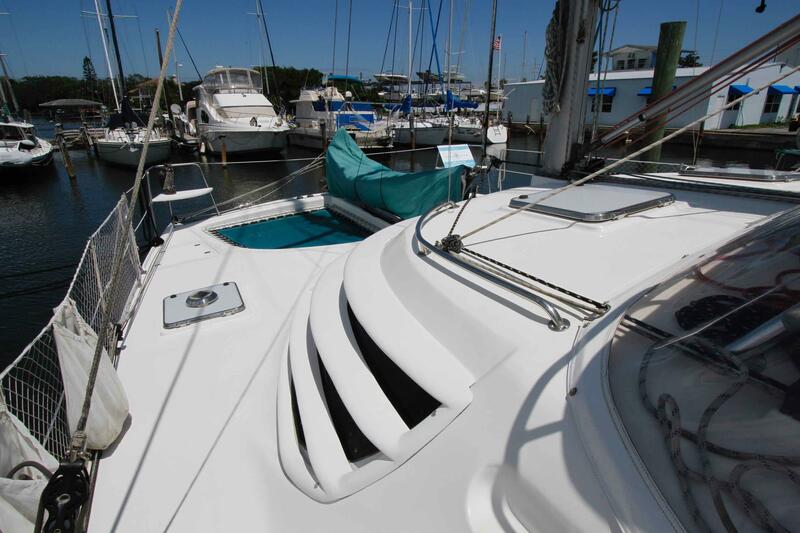 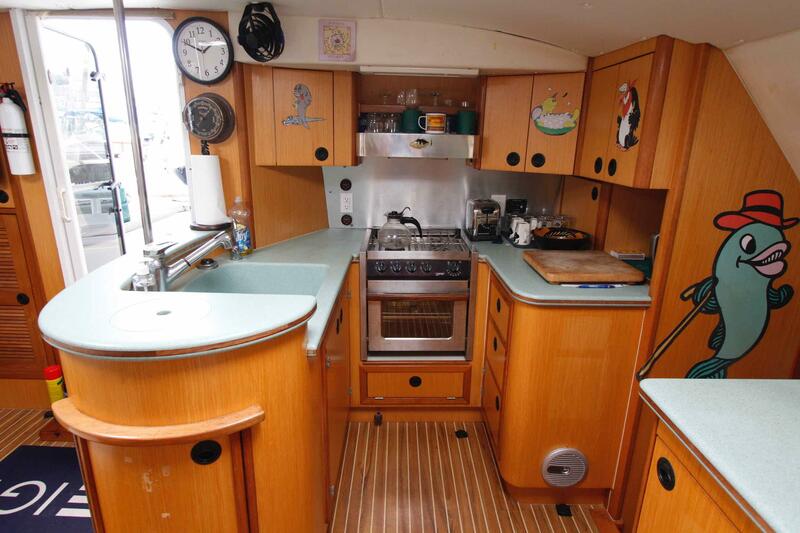 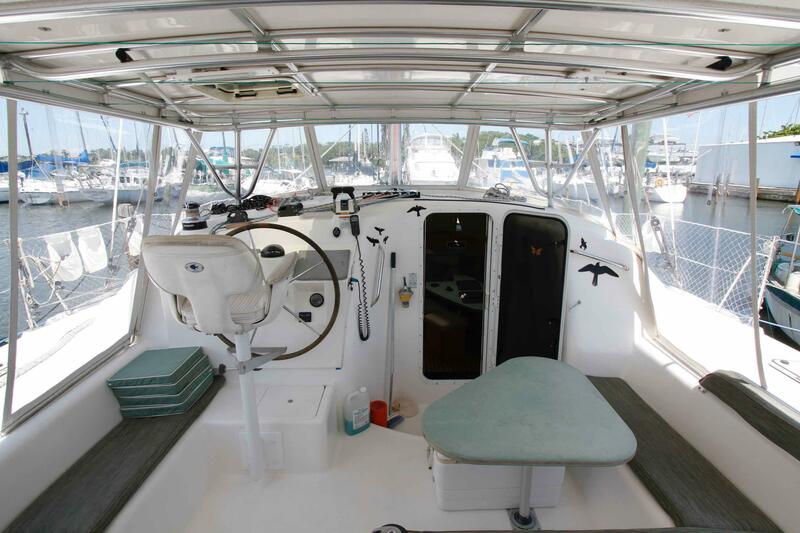 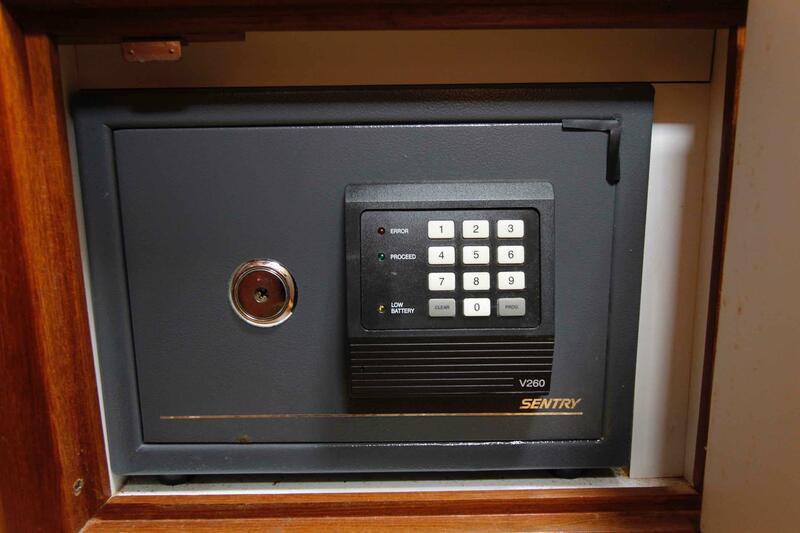 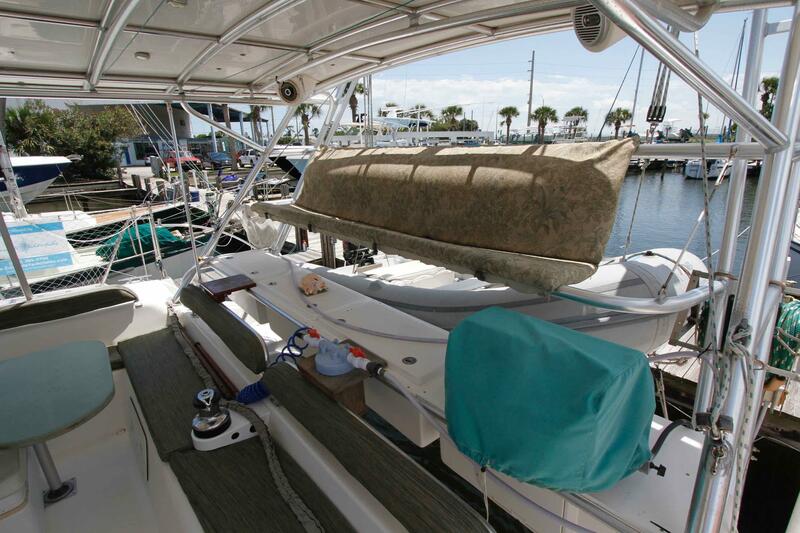 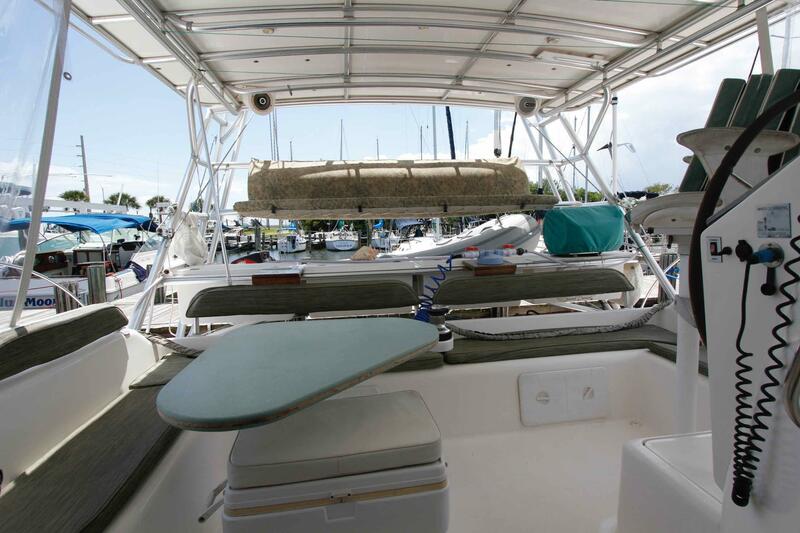 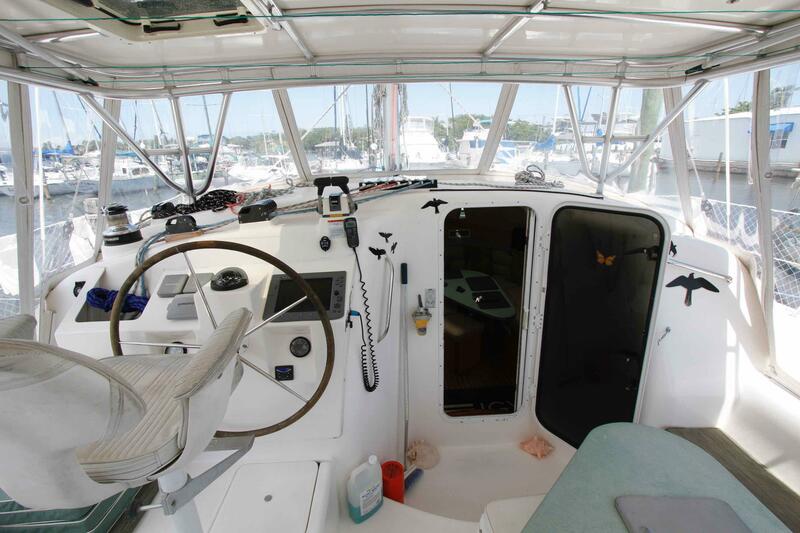 Primed with Tuff Stuff and Anti-fouled with Islands 77. 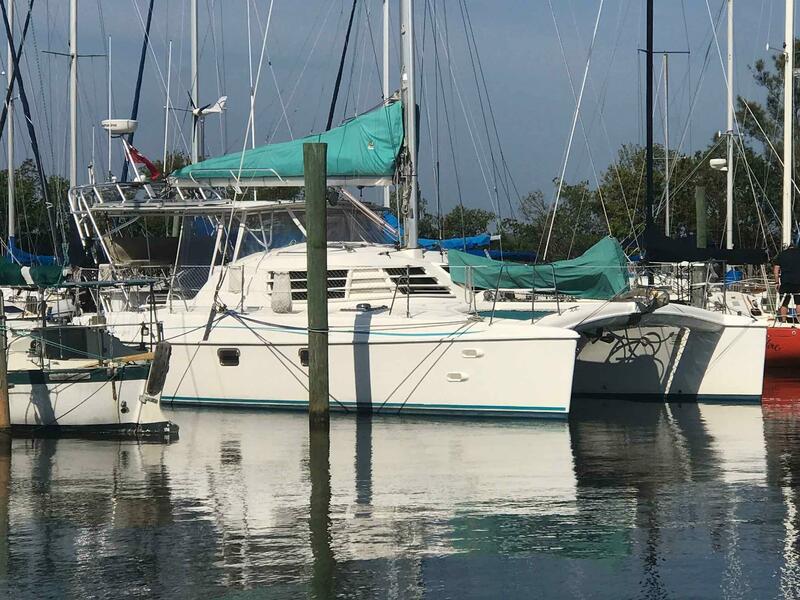 New Anti-fouling bottom job in October 2018. 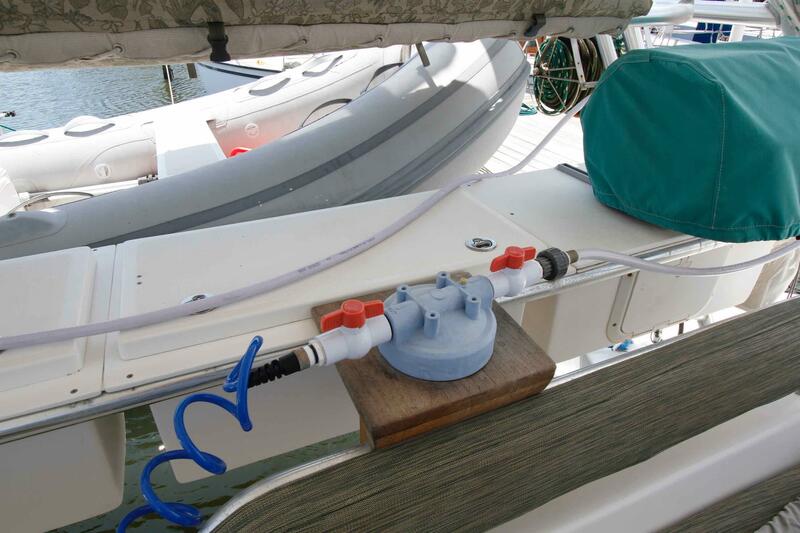 New Seals on both Sail Drives April 2017. 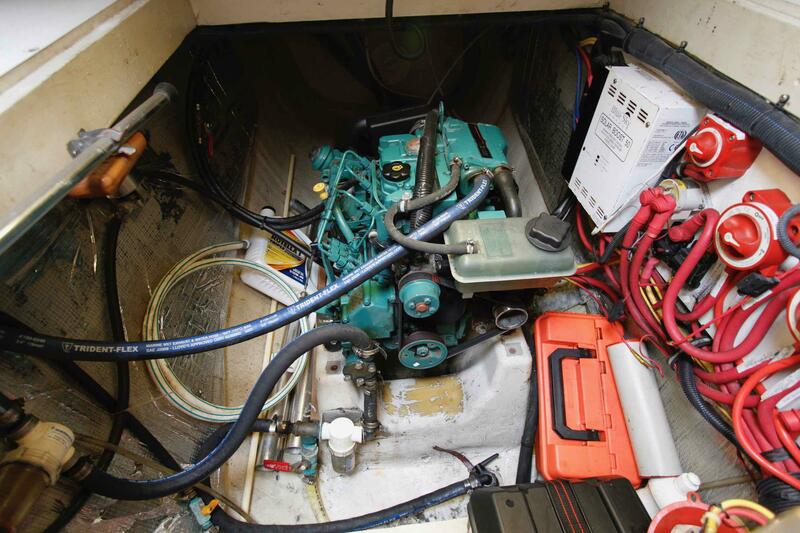 NextGen generator back end replaced with new one that doesn't require capacitor. 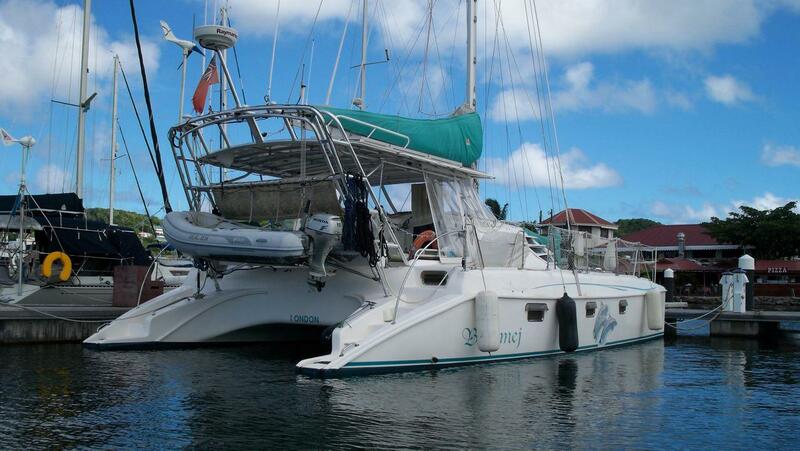 The Manta 42 MkIV is a product of the evolution of over 90 Mantas sailing the oceans of the world today. 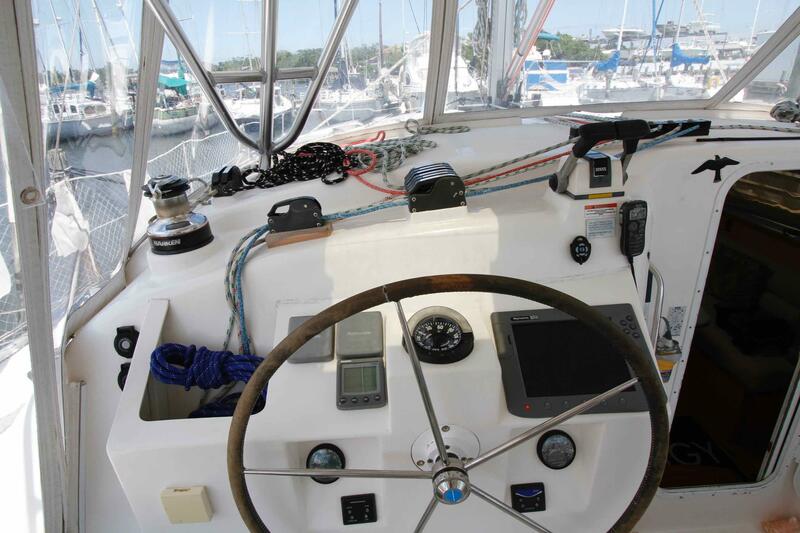 The MkIV incorporates features developed from owner feedback with thousands of ocean miles sailed. 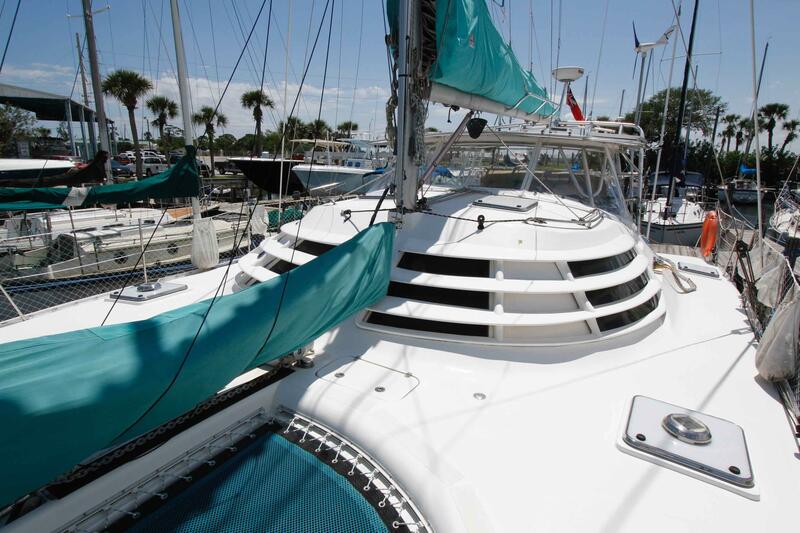 Each Manta was built to order and offers the best quality/value ratio of any production catamaran in the world today.